A NEW round of Junior Cricket Blast gets under way at Glenora District School this Sunday. Junior Blast is for children new to cricket, with participants building their skills through fun, game-based activities. The games are designed for small groups to ensure every child gets a go, allowing them to test and learn new skills. When they have mastered the basics they will be ready to graduate to Master Blasters where they can play modified games of cricket. 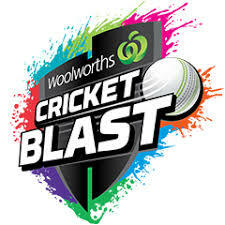 Sponsored by Woolworths and buzzing with the energy of Big Bash cricket, Cricket Blast teaches kids how to bat, bowl, field and catch over a minimum of six weeks – all while making new friends. Glenora District High School will host an eight-week Junior Blast program for boys and girls aged five to seven years. Learn new skills including catching, throwing and teamwork. This will be held on Sundays from February 10 until March 31. The cost is $75 per child and the sessions will run from 9-10am. Make new friends or organise a group to learn together. All equipment is supplied. To register and pay, go to playcricket.com.au, or for more information contact Annie McKenzie on 6286 1301 or 0407 881 276 or annie.mckenzie@education.tas.gov.au. Councillor's bullying claim "a personal opinion"